Robert Plant is an incredible talent magnet. Almost every album features a lineup of respectable musicians maybe not as esteemed as his former Zeppelin bandmates but even better: Plant bring the A-game outta every-freakin’-musician he finds. He’s picked up the uncanny ability to assemble skilled bands at will and change out parts as his next album needs, a farcry from the stability of Led Zeppelin. Does this mean the baker’s bread carousel keeps turning? Yes, but the bread never goes stale, either. Recently, however, the carousel has stopped with his backing band of Sensational Space Shifters. And the bread has matured into something scrumptious. 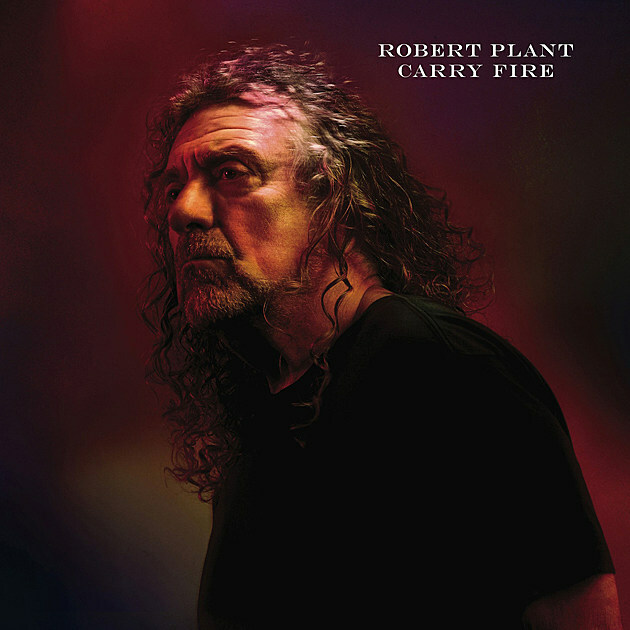 Carry Fire confirms it—late career Robert Plant is aged and exquisite. His vocal power is geothermal, replete with the warmth of earth, sprouting from the fertile rootsy arrangements planted in the richness of Appalachian, Moroccan and Celtic folksoil and tilled until sublime. Hinting of all but being none. Not only Robert Plant ages well, though, as his Sensational Space Shifters’ brand of spices snaps like a whip and unleashes their skills on this sophomoric essay. No single cut strikes me as being entirely inspired by a single angle. Plant’s last album, lullaby… And The Ceaseless Roar could seduce sleep and induce energy. The cuts winded with the garden path—switching back between the Celtic, the Appalachian and the Moroccan. They may have charged through a rock wall one-by-one but that just made it easier to see where they were charging from. Moreover, almost every track was worthy of the pricetag. This phenomenon continues throughout Carry Fire. Some coals burn hotter than others, but none flameout. Instead, they move through the skin with the comfort of a warm winter treat, a hot chocolate for the soul. Carry Fire sits heads and shoulders above the twisting lullaby, glowing confidently through all the well-wrought and emerald foliage of its music. Plant’s voice takes the hand and leads from “The May Queen” all the way to “Heaven Sent.” Unlike his previous Peter Rabbit adventures, he never wanders too far into one vegetable patch or another. Instead he stays on the path, rarely straying, and finding exactly what he needs. It’s no surprise they hide behind a wall and not a fence. He doesn’t soar on high notes, he’s gliding in register. Instead of Plant’s voice working the emotional grindstone, it’s his guitarist Liam “Skin” Tyson, who pushes the heartrock to the summit. Plant’s empowered soft vocals provide a sensitivity and warmth of the hearth while Tyson’s plucky guitars still invoke emotional majesty. 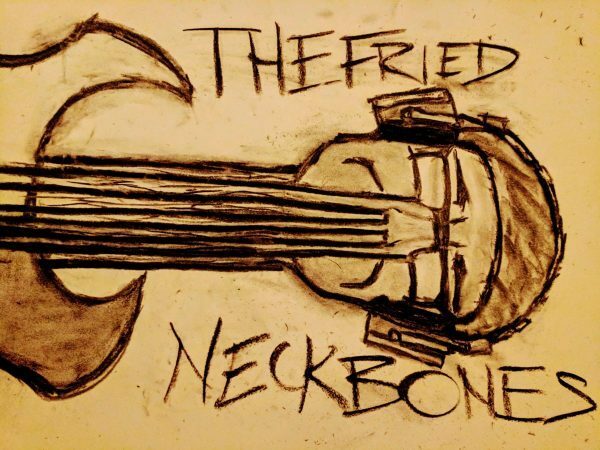 Tyson’s riffwork caputres moods like lightning in a bottle—his fingers sail the fretboard, modulating the riding waves of the strings. From the melancholic “Dance With You Tonight,” to the daring “Carving Up The World Again,” to the inspiring “Bluebirds over the Mountain,” really, damn near the whole album invites listeners to become a fan. The musical rapport between Plant and him is perhaps the greatest evidence of Plant’s stadium rock past, too. Plant knows how to work with a guitarist, better still, Tyson knows how to reciprocate. And it’s not just with Plant that Tyson shines, as the stringsman trades changes with the moog of John Baggott on “Dance With You Tonight” and works to make sure the cut’s first and last words come from a fireside synthesizer. The result? Every bit as romantic as ecstatic. When guitars and synthesizers need a break, the album lets Redi Hasa’s cello and Baggott’s piano find “A Way With Words” before giving way to Justin Adam’s spinetingling oud on the dramatic “Carry Fire.” It’s Plant au Maroc. This record doesn’t contain a cut run of good tracks, it is one, peppered with different garden spices, each one just as fresh as the next and never falling off until “Heaven Sent,” which fades gently. It’s no crime, but it’s no strength either. I feel bad for those who dislike spicy food, though. They’ll be obliged work through spices foreign and unpleasant to the taste buds. I, however, will gladly toast Carry Fire as Plant’s crowning solo achievement. Since the millennium’s turn, Plant’s musical Odyssey picked up on the leftover threads of the Iliadic Now and Zen. After sailing the Mediterranean, losing himself in America and beaching once again on Welsh shores, Plant and his Sensational Space Shifters stir it all together into a fluid, 48 minutes of earthy musicality under the influencing West, East and South winds. And really, Plant’s ability to improve with damn near each solo effort deserves every bit of commendation. Where Jimmy Page imprisoned himself within the Trojan vaults of Led Zeppelin, Plant took the chance for freedom and ran with it. In 1980, Plant went on musical sabbatical in search of post-Zeppelin meaning. In 1994, Plant found a worldbeat muse worth pursuing while returning to roots on No Quarter. And in 2017 he vindicated that muse with Carry Fire. A record every bit as powerful and mercurial as its wizened Baldr of a benefactor, every bit as rootsy as his career and every bit as golden as it glitters.